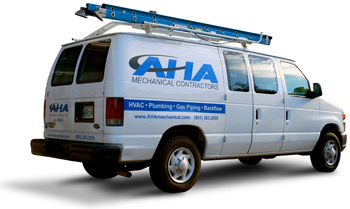 Founded in 2006 by Donna Burlon, AHA Mechanical is a Memphis HVAC contractor providing complete solutions for commercial customers around the Mid-South. Licensed as a CMC-Full Mechanical Contractor in Tennessee and Nothern Mississippi, AHA is able to provide a full spectrum of mechanical- and construction- related services to commercial customers. AHA is a Women-Owned Business Entity and Disadvantaged Business Entity headquartered in Memphis, Tenn. With more than 30 years of industry experience. Donna and her partner are members of several professional organizations including the Mid-South Minority Business Council, the Apartment Association of Greater Memphis, Building Owners and Managers Association, Insurors of Memphis, Institute of Real Estate Managers, Women’s Council of REALTORS® and the Better Business Bureau. AHA is an open shop (non-union). In addition, the company has an uncompromising dedication to providing safe and healthy working conditions.